On July 21, 1969 a man named Neil Armstrong achieved something so big, so monumental, that more than forty years later humanity hasn’t come close to accomplishing anything which might eclipse it. Yet even a man who has escaped the pull of Earth’s gravity can’t escape the inevitable doom of old age. This weekend on August 25th Neil Armstrong, the first human being to walk on the moon, died following complications from a heart bypass surgery he underwent on August 7th. He was 82 years old. His family released a statement announcing his passing and letting the rest of the world know that we’ve lost the most important man on Earth, or off it. There have been other great achievements in the history of our species. Other men have been part of important firsts, made amazing discoveries. But it’s hard to think of any bigger than this one, an achievement so big it couldn’t even happen on our planet. It’s one thing to build a boat out of wood and sail to unknown lands, it’s another to launch yourself into the sky in an attempt to touch the lights above. Neil’s accomplishment forever changed the way we look at the universe. Nothing can or will be the same again. He didn’t do it on his own, and he wasn’t the only one to do it. He had help from thousands of brilliant scientists and millions of American taxpayers. He was followed out the door of his lander, the Eagle, by another brave astronaut and eventually by other bold missions to the lunar surface. But Neil Armstrong was first and in my book, that makes him the most important man who ever lived. 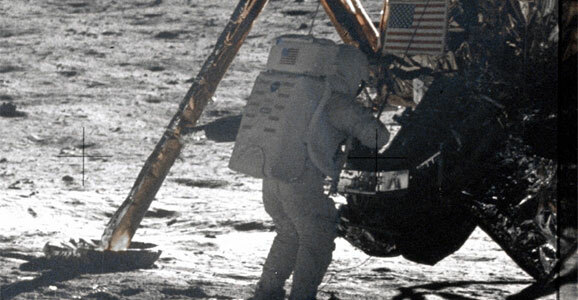 Though always uncomfortable with the title, Armstrong was a bonafied hero, a risk taker who believed in something bigger than himself, a man who knew without a doubt that mankind must break the bonds of Earth, and that doing so was worth the price of his life should the Apollo 11 mission have required him to give it. It didn’t and Armstrong lived on to become not only the first man to walk on the surface of another world, but also the first to do it and then come home to tell humanity about what he found. Armstrong did that second job, the job of telling the rest of us what was out there, as well as he could. He never did go back to the moon. In fact he retired from the Airforce altogether in 1971. Various groups attempted to appropriate his fame, political parties sought to win him to their cause. Neil ignored them. He avoided the glory and fame which he was due, whenever possible. Neil even refused to sign autographs, because he discovered his signature was being sold off for large amounts of money. Instead Armstrong became a teacher, and did that job for eight years after his retirement from NASA. His name is known the world over and no one will ever forget what Neil Armstrong did. Now that he’s gone, it’s up to the rest of us to keep doing it. If humanity is ever to survive, heck if we’re ever going to take the giant leap necessary to evolve into something better, we have to follow Neil’s small footsteps. Let’s make sure his risk counts for something. Mars is next. It’s time for another giant leap. I wonder if Neil would have agreed with people calling him “The Most Important Man Who Ever Lived”? Seems to me the moon landings were the culmination of years of work by many thousands of individuals. Neil was fortunate to have been chosen to be on Apollo 11 and to have been the first man to walk on the moon, but I expect he would have sought to divert the attention from himself and onto the many incredibly talented “nameless” people who also walked on the moon on that day. I agree completely. Eons from now, all great scientific discoveries from gravity to relativity to quantum physics will have been eclipsed by bigger, more advanced science. But Neil Armstrong will always be the first person to step foot on a celestial body other than Earth, the first step toward human colonization of the universe. It is hard to imagine an event so significant occurring within the next few hundred years if not much, much longer. What could be next? Time travel? Immortality? Maybe genetic engineering to create superhumans, bt I don’t think that is necessarily more important han Neil Armstrong’s accomplishment… perhaps if it resulted in exponential advancement of human achievements (itself likely entailing figuring out how to get to other solar systems).